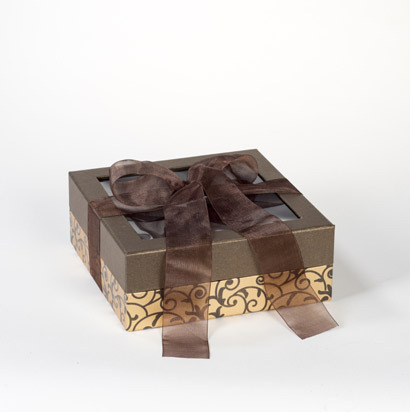 This 8 piece presentation box has a clear window on the top to see the beautiful assortment of hand made confections. 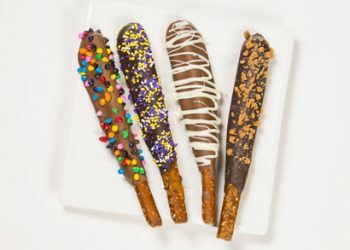 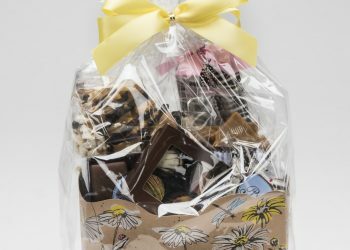 Included in the selection are peppermint bark, a large artisan chocolate bar, chocolate covered mini pretzels, Brittle Bark popcorn and nut varieties, chocolate covered OREO cookies, and truffles. 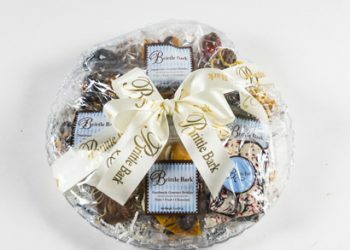 All pieces are individually wrapped and can be enjoyed for 4-6 months.